Ex-LMS 48387. 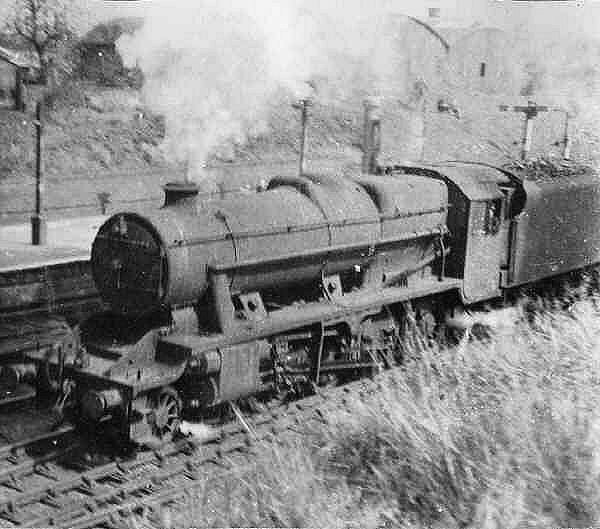 A power classification 8F 2-8-0 designed under the leadership of William Stanier. 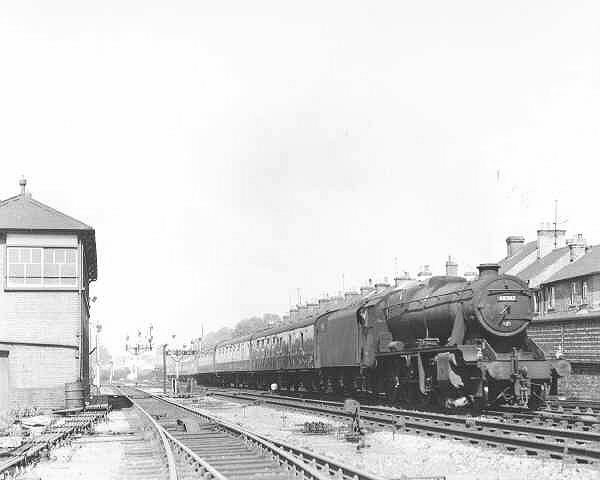 The signalbox and the semaphore signals in the distance are typical of GWR practice. LMS 8F number 8601 entering Coventry station.